(P1) UAE nationals have the most powerful passport in the Gulf Cooperation Council (GCC) region, with swift entry to 120 countries around the globe, according to the latest power rankings by a financial consultancy firm. (P2) Arton Capital’s passport index announced on Wednesday ranks countries based on the number of destinations their citizens can travel to without a visa or with a visa on arrival. (P3) The UAE passport holds the 27th position globally and 60th in the individual ranking. Within the GCC, the UAE is followed by Kuwait, which grants access to 80 countries, in the second place. (P4) The Qatari passport takes the third position, allowing holders relatively easy entry to 75 countries. In the fourth place is Bahrain (71 countries), followed by Saudi Arabia in the fifth position (68 countries) and Oman in the sixth (67 countries). (P5) Overall, Germany takes the crown as the most powerful passport, with a visa-free score of 157, followed by Sweden, Finland, Italy, and Switzerland. (P6) The United States passport occupies the fourth rank, together with Austria, Portugal, Luxemburg, and Singapore. USA passport entitles holders to visit 154 countries without a visa or with visa on arrival. (P7) Canadian passport holders can visit 152 countries visa-free, which ranks them 6th together with New Zealand. (P8) In Asia, the most powerful passport is that of South Korea, ranked 3rd, with a visa-free score of 155, followed by Singapore (4th), Japan (5th) and Malaysia (8th). Why do you think some countries have to obtain a visa more often than other countries? Which countries are more difficult to travel to on your country’s passport system? Why? Should a visa-free entry be equal for all countries? Why or why not? Who has the strongest passport of the Arab States? 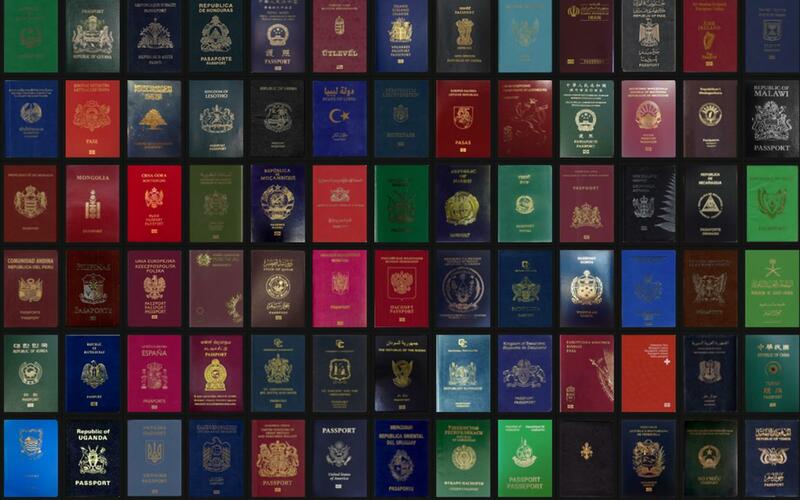 Who has the most powerful passport around the globe? How many countries can citizens of the USA visit without obtaining a visa? Who comes after South Korea in the power rankings in Asia?